The organizing committee of the next annual meeting in Geilo, the 29th annual meeting in SSRCTS, is delighted to finally release our new website. We have moved from the old domain www.ssrcts.org to the new www.ssrctsnordic.com. Submission of abstracts is open until December 1, 2018 here: www.ssrctsnordic.com/abstract/submission. The Scandinavian Society for Research in Cardiothoracic Surgery – SSRCTS hope to see you in Geilo, Norway the 7-9 February 2019. 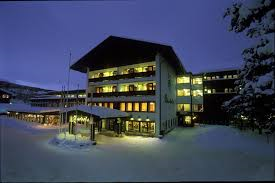 The conference will take place at the beautiful Bardøla Høyfjellshotell. Go register now on www.ssrctsnordic.com. We are looking forward to see you!